Frame your face in boho charm (literally) with these whimsical hoop earrings by Gas Bijoux. 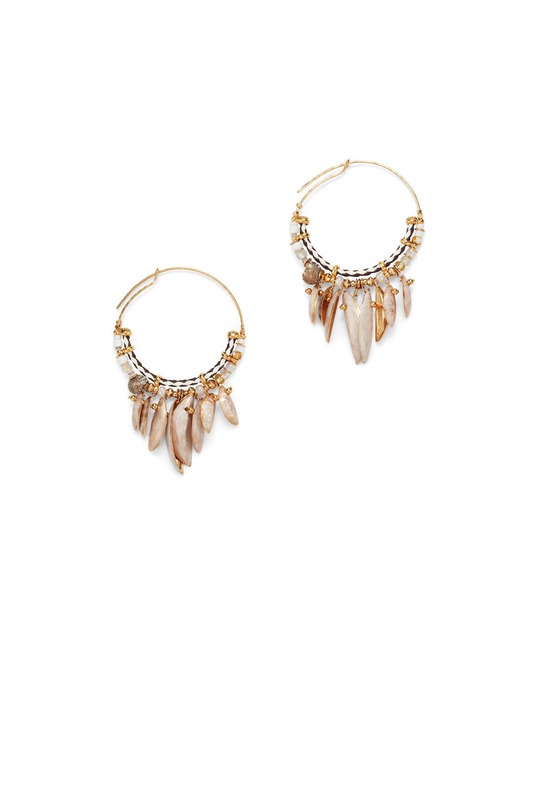 24K gold plated hoop earrings with beaded accents and shell charm accents. Post backs for pierced ears. 3" long.